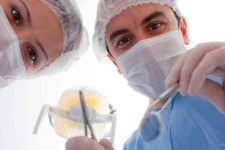 HomeBlogBlogWhat are the ins-and-outs of your dental procedures? I’m sure you hear about the different treatments and procedures available to you from your dentist all the time, but what actually happens in these procedures? Well, we are going to answer that question by giving you an overview of each of the treatments we have to offer. There are two types of fillings: composite and amalgam. Amalgam is the traditional filling, which uses a metal compound to fill the hole in the tooth, while the composite is the new filling type made by durable plastics. 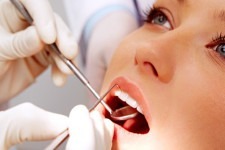 We use composite fillings as they provide natural colour and are easier to disguise. Dentures may become necessary when you lose teeth. 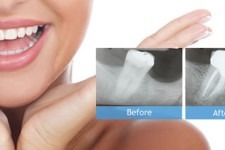 If you only have a few teeth missing, then you will need a partial filling, but if all your teeth are missing then you will need a complete filling. Partial dentures can either be removable or fixed. A removable denture has replacement teeth attached to a plastic base or metal framework that holds the false teeth in place. Fixed dentures are put in place as a bridge which fits exactly into the gap left by your missing teeth. 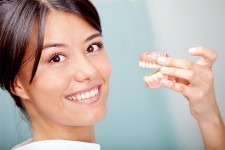 Complete dentures can be either conventional or immediate. Immediate dentures are made to fit before the teeth are removed, so you don’t need to go for a period without having teeth. However, they do need to be frequently adjusted due to changes in the shape of your mouth as it heals. Conventional dentures aren’t ready to be used until around 8 – 12 weeks after the teeth have been removed. 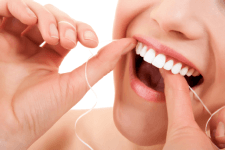 This is because they are made once the gums have healed so that they do not need to be adjusted afterwards. This procedure is not always necessary, sometimes there are other ways to solve tooth root problems. 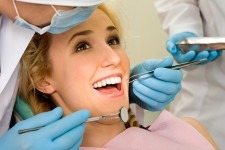 If it turns out the treatment is necessary, then it goes like this: first, the dentist will numb your gums, then a local anaesthetic is applied which removes all feeling from the teeth. Nitrous oxide gas can sometimes also be necessary to calm the patient down. Once the teeth and gums are numb, the infected pulp is removed from the centre of the tooth and replaced with a biocompatible root canal filling. To seal the filling, a crown is often needed. Once that has been fitted, you are done. After surgery, you may need painkillers to remove any pain. Also, your crown will most likely need to be repaired or replaced some way down the line. Welcome to the world of braces! These are used to straighten crooked or misaligned teeth from a young age. Traditionally, you would have had to wear braces for approximately 1-3 years, but we use a particular kind of brace called The Inman Aligner which straightens your teeth in just 6-12 weeks. These braces have a clear plastic bar across the front of the tooth, making it a cheaper alternative to invisible braces. Inman Aligners are cheaper and faster than invisible braces but generally only used for the front teeth. Next month we will be continuing this article, explaining other treatments not mentioned here.